Wind energy drove £1.25bn of investment into Britain's economy last year, with the industry now employing 30,500 people, according to a new report from RenewableUK. 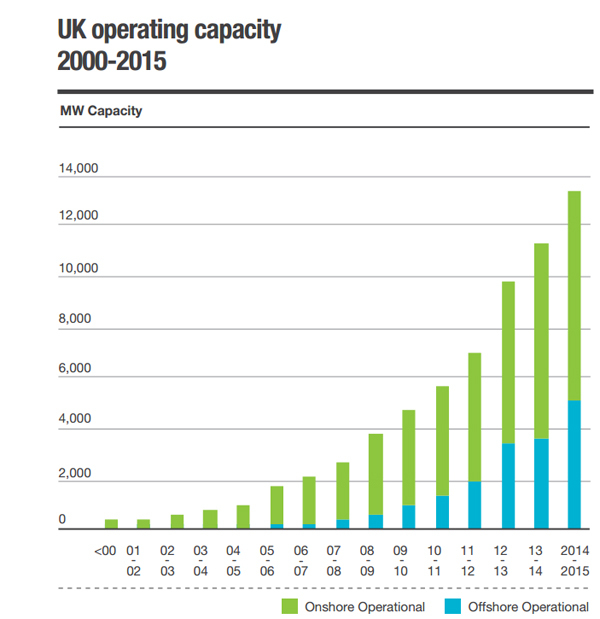 The 'Wind Energy in the UK' report reveals that wind power has grown to generate 10% of the UK’s electricity needs, as more than 2GW of capacity was installed in 2014/15 - a growth of 18%, bringing total UK capacity to over 13GW. The study breaks down the expenditure in the industry, with £840m spent on offshore technology and a further £402m spent on onshore. Together, the two sectors provide 15,500 direct and 15,078 indirect jobs. RenewableUK’s chief executive Maria McCaffery hopes the report will serve as a "wake-up call" to Government by proving that the wind industry is delivering a substantial amount of clean power, investment and jobs to Britain – despite mixed messages from Ministers. The major contributing nation to this renewable shift was Scotland; with over 60% of UK onshore wind projects are now installed and operational in the country. This is creating an annual turnover of £211m, higher than England, Wales and Northern Ireland combined. England is lagging behind in regards to onshore wind energy and is missing out on the economic benefits that it brings, RenewableUK concludes. During the past year, less than 10% of new consents for onshore wind were in England, compared to 70% for Scotland’s construction activity, according to the report. However, England is showing improvement in the offshore wind sector, with almost 1.4GW of offshore wind constructed in English waters in 2014/15, along with 4.9GW of new capacity consented last year. 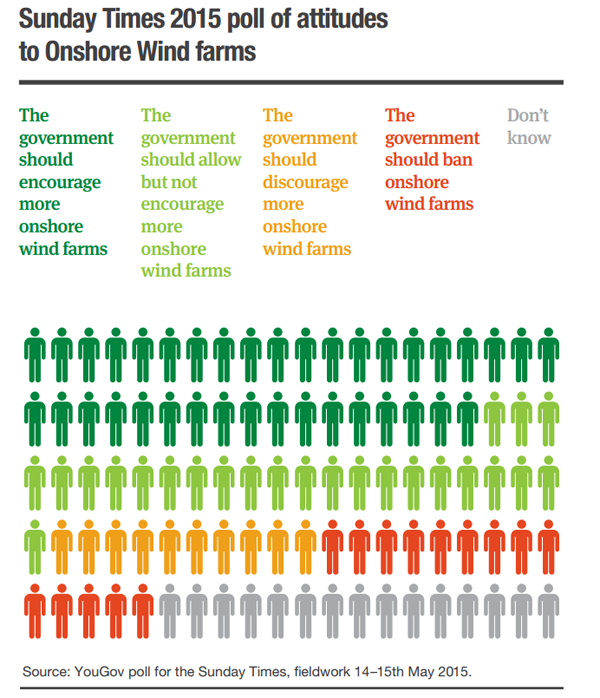 The report included a survey into company attitudes towards the UK’s wind energy growth. Currently only 10% feel that the sector will grow over the next 18 months, with 90% citing Government policies - a 67% increase since 2011 - as the main stumbling block for renewables. Commenting on the report's release, Dale Vince - founder of green energy supplier Ecotricity - said: “Renewable energy receives one tenth of the support that fossil fuels do, yet powers 25% of the country. And Government says only renewable energy has to stand on its own two feet. It makes no economic sense. This summer, the Government announced that the Renewables Obligation subsidy mechanism would close in 2016 - a year earlier than originally arranged. The Department for Energy and Climate Change (DECC) then axed the renewable feed-in tariff pre-accreditation. The report gives mention to Mike Tyson’s famous quote “everyone has a plan, ‘til they get punched in the mouth” - a statement which RenewableUK believes sums up the current situation the renewables industry finds itself, in after a series of subsidy blows from the Government that could rock investor confidence.